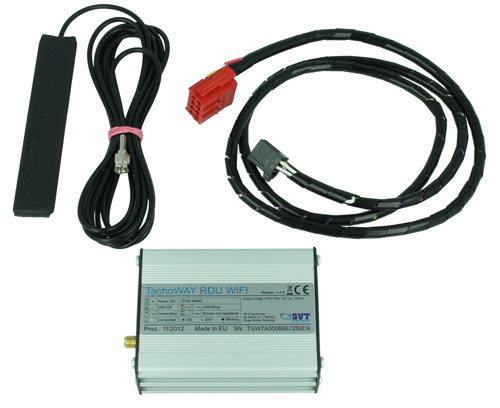 “TachoSafe Remote Download WiFi” downloads the digital tachograph via a WiFi connection. The WiFi router should be installed in an area where all trucks will pass through. As the truck passes throuh the WiFi zone, the TachoSafe Remote Download WiFi device connected to the tachograph will download data.